#CosmoBlogAwards: The Ceremony, The Cocktails and of course, The Cupcakes. 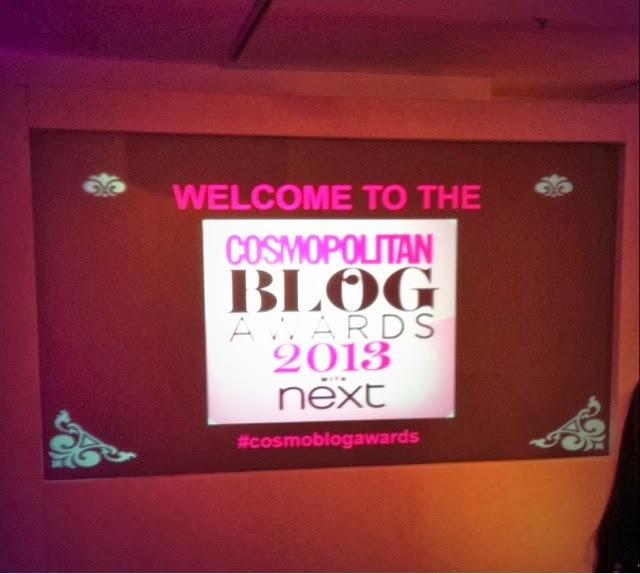 Well after 43,000 nominations, six months of voting and one panicked, last minute outfit rush, the Cosmo Blog Awards are all over - and what a fabulous night it was! 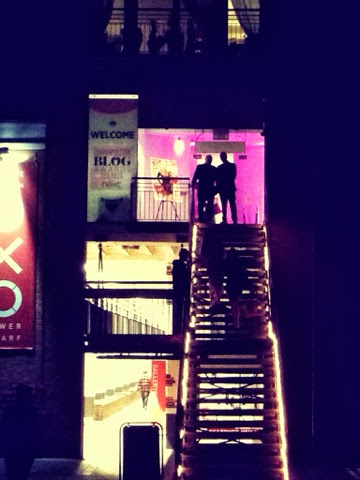 It felt absolutely amazing to be greeted at the door of the OXO Tower by the famous pink Cosmopolitan logo and there were plenty more girly surprises to be found inside. 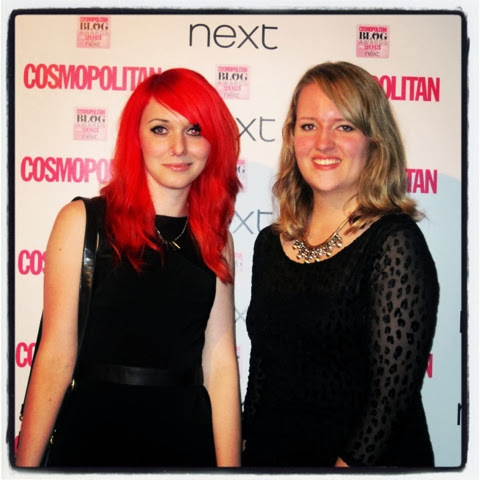 The Vintage Cosmetic Company were on hand to give our eyelashes a touch of Hollywood glamour and Electric Hair were at the ready with the straighteners for any pre-awards hair touch ups. 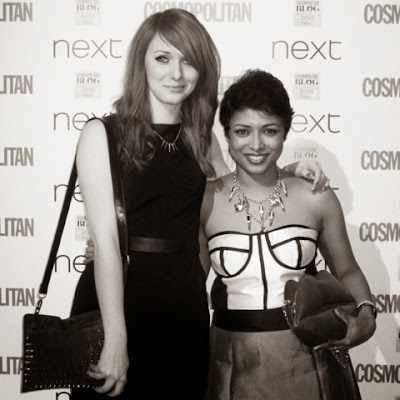 We loved dressing up in the photo booth and posing in front of the Best British Bloggers board too! 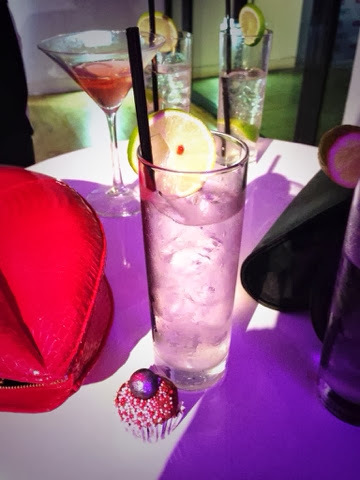 Of course it would be wrong to be at a Cosmo event and not indulge in a Cosmo cocktail or two and there was a constant flow of these amazing cocktails and of course cupcakes, all evening. In true ATC style we treated ourselves to several miniature cupcakes which were sprinkled in glitter dusting and topped with strawberry buttercream - yum! But on to the important part - the awards! 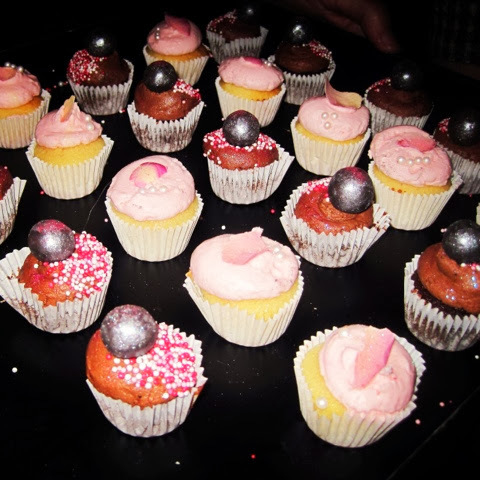 We were nominated for Best Food Blog. Unfortunately we didn't get our hands on an award this year but to all the fantastic bloggers who did, well done! A huge thank you to all of you who voted - we really do appreciate your support. Moving on to our favourite bit - the goodie bags! 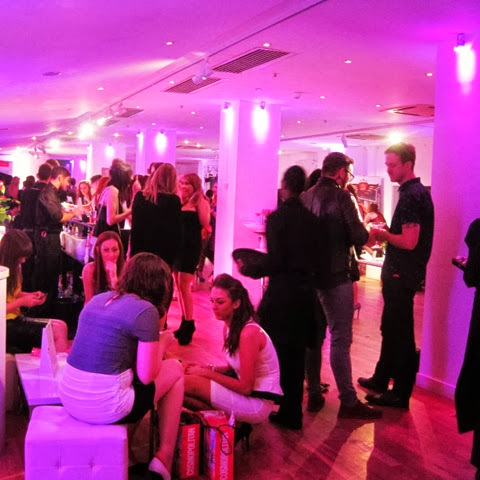 All bloggers went home with a Cosmo goodie bag filled with tonnes of stuff from cookies to fake tan and jewellery to PhotoDirector software. But by far our favourite item, which we can't help but feel we inspired (ahem), was Gizzi Erskine's latest book - amazing! It was great to meet all of the other bloggers and catch up with some blogging friends too like Ann from A Quirky Lifestyle - be sure to check out her site! 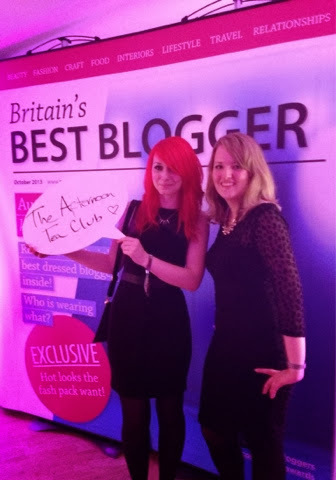 'Best British Bloggers' - Oh why not? 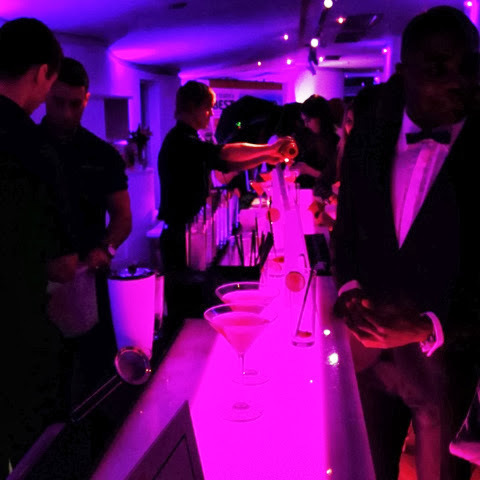 We had an amazing time and would like to thank all of our readers for getting us there. Roll on next year!